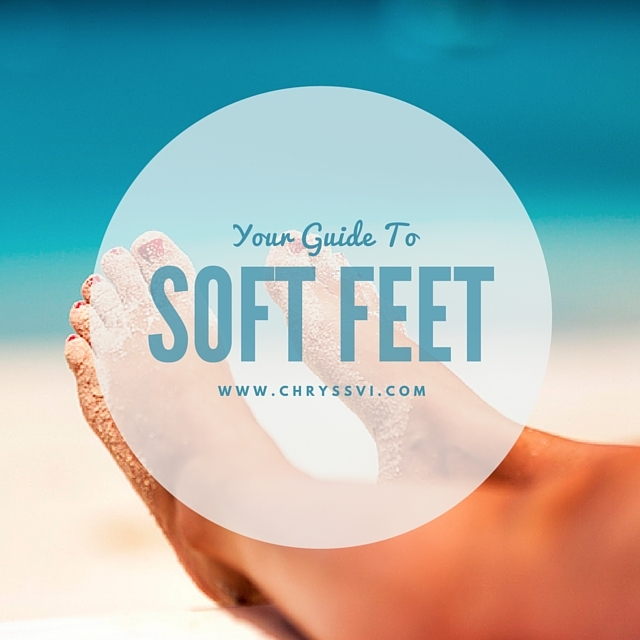 Want softer feet without having to empty your pockets? After taking your nightly shower, lotion as usual. Take some vaseline and rub the entire foot from ankle to toes to the bottom of your feet. Slip on your socks IMMEDIATELY and head to bed for a good night’s sleep. Remove in the morning before your morning shower. Repeat nightly. Use a pumice stone to rub the bottom of your feet during your nightly showers to speed up the process of smoother feet. Put vaseline on your eyebrows to keep them neat. Dip a q-tip in Vaseline and rub it around the mouth of nail polish to prevent it from sticking close. Rub vaseline on your lips daily to keep them moisturized. Apply Vaseline to small burns to soothe pain and assist the healing process. This is an age old trick / tip that still works! I try doing this at least a few times a month but I should probably do it a few times a week! Good ole Vaseline and that sock been tried and true for decades. I also like Aquaphor if you have cracked heels as well. I used that after leaving the hospital because staying indoors with no sun for all that time took huge toll on my skin. Aquaphor got my feet soothed and soft quickly. This is a great tip. I like to do with Shea Butter… Soft feet are everything. I use this! Not as often as I should. I'm going to try to incorporate it more into my daily routine. I actually use this already, and it's great! Taking care of your feet is so important! I can remember my mom telling me about this trick years ago. I am going to have to try it! Thanks for sharing. Vaseline, so versatile. I need to do this vasiline for soft feet trick during the winner when I cut my pedicure budget dramatically. I have long been an advocate of Vaseline! I just hate sleeping with socks! such a great tip! I know people to do it with shea butter or an oil. This is a good tip that I've heard before. I need to do this more often. Thanks for sharing. Vaseline does wonders on dry, scaly feet! Love this tried but true method. I love this tip. I used to have some moisturizing socks made just for this. Great tip for the nail polish bottle. I never thought of that and I get so irritated when that happens.